The top end of Melbourne’s property market is on the move. 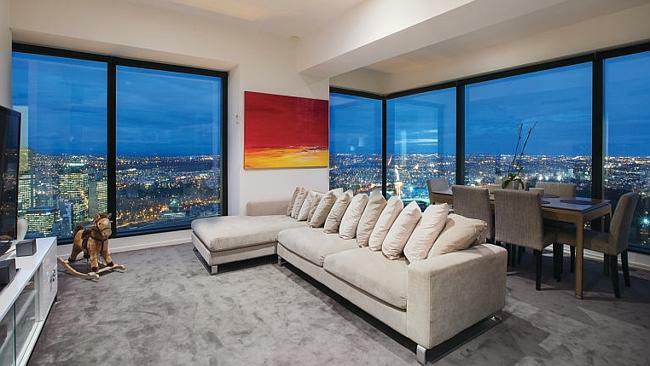 A pair of full floor penthouse apartments in the city’s iconic Eureka tower are up for grabs. 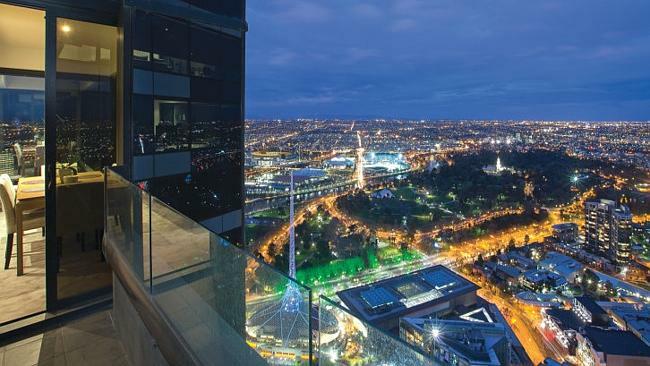 It is believed it is the first time two of the luxury properties, that sit hundreds of metres in the sky and command some of the best views in Melbourne, have been advertised for sale at the same time. And both are believed to be chasing prices into the tens of millions of dollars after they were first purchased as $7 million empty shells. And there may be a chance for punters with a more modest budget to profit from the sales. 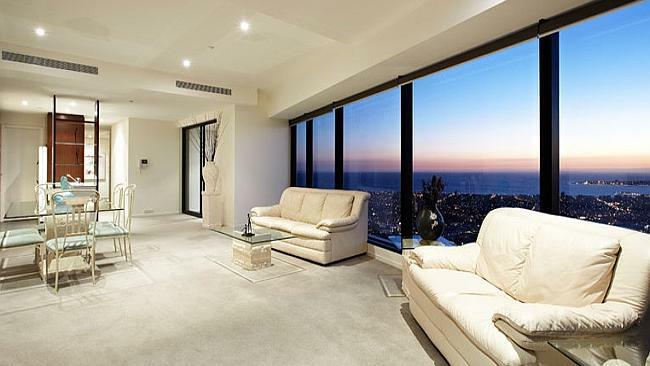 Sportsbet.com.au have opened a market on the sale of the two luxury apartments with higher of the two, on level 84 of the tower, a $1.40 favourite to achieve the top sales price of the two. 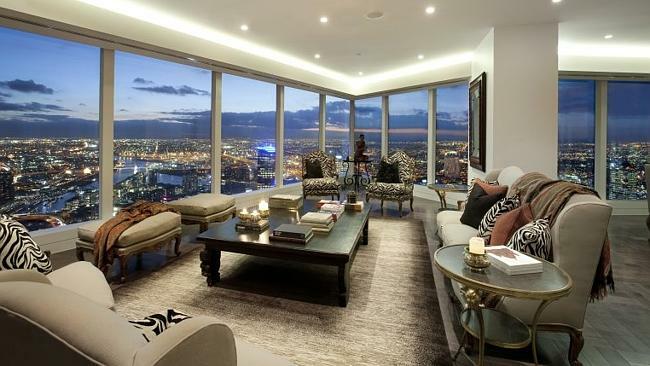 The full floor penthouse on level 82 has been given a reasonable chance of an upset, however, with $2.75 odds to take out the higher sale price. And they’re not the only offerings at the top of the tower, which gives all its tenants access to a 25m pool, concierge desk, dog walking and newspaper delivery. With a more modest budget in mind, there are further properties available for those dreaming of living with their heads in the clouds on level 69 and 63. On the 84th floor of the Eureka tower and more than 270m up this is one of the highest residential apartments in the world. 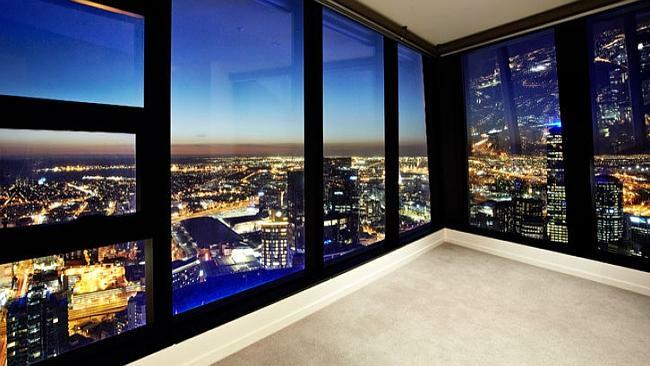 It has uninterrupted, 360 degree views across Melbourne. And it’s never been lived in. Which is surprising, because it has some of the best luxury features around. 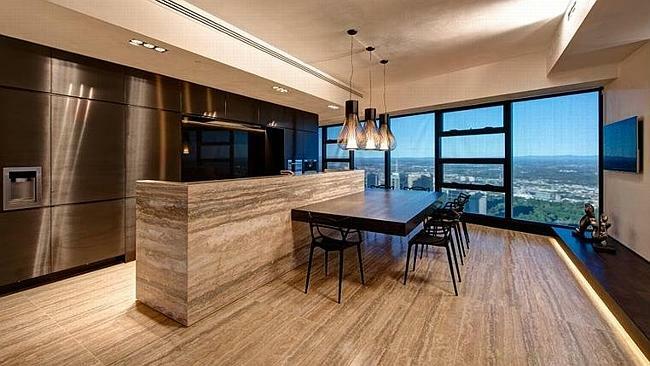 The kitchen is decked out with marble, and so is the private lobby of the 84th floor which only this penthouse owner can access. 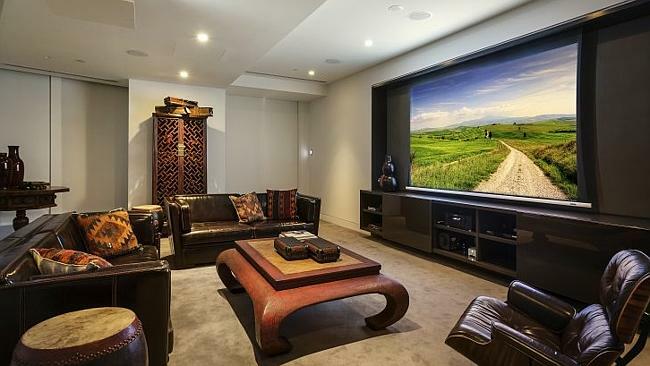 The study is timber panelled, the formal living room has an onyx bar, the main bedroom has a fold out TV and should you ever grow tired of the view there is a dedicated media room. If that sounds like a lot to squeeze into an apartment, even one that spans across an entire floor, at 660sq m this one is bigger than many house blocks. It also comes with extensive home automation that covers the blinds, the lighting, doors and security. Greg Herman from Melbourne Sotheby’s International Realty in Toorak is the listing agent on this property. 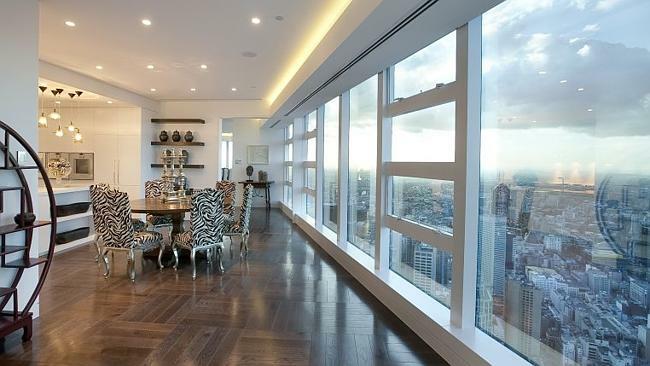 With a whole floor on offer this 82nd floor apartment has views to every corner of Melbourne. What makes them better than those on offer on level 84? 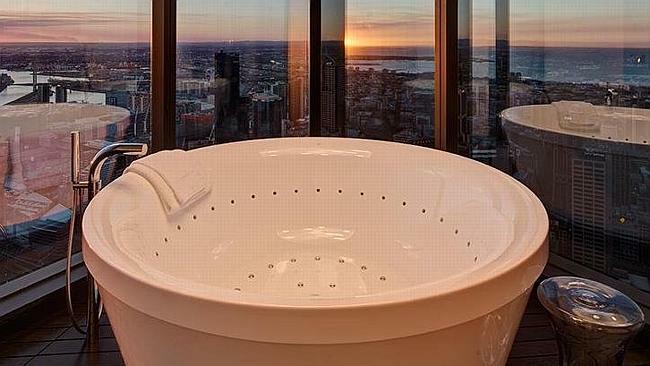 Dream Homes previously asked if it had found the spa bath with the city’s best view. The cos spa in the main bedroom’s ensuite looks onto the city and the bay from one of the highest vantage points in the southern hemisphere. The apartment was originally to be the private home of the buildings architect Nonda Katsalidis, of Fender Katsalidis Architects. And he’s spared no expense on filling its five bedrooms, five bathrooms and host of entertainment spaces with luxury fittings, guided by award-winning interior design architects Fitt de Felice and Molecule Studio. The kitchen even features sparkling water on tap, via HydroTaps in the main kitchen. There’s a second kitchen for catering staff on the other side of the butler’s pantry. Also, a 1,300 bottle wine cellar. Gerald Betts and Jeremy Fox from RT Edgar are handling an expressions of interest campaign that is set to end on August 13. Take the lift down 13 levels and the price drops as well. From eight figures to seven. With a $1,888,888 asking price this three-bedroom apartment still isn’t exactly available for pocket change. But, along with the more modest price tag comes a more modest living arrangement. The apartment occupies about a quarter of the floor and has just the one main living space. But it’s a big space with the open-plan kitchen looking on to 17sq m meals area and a 42sq m living zone that could fit some smaller apartments inside it. And each of the rooms, with the exception of the second bathroom, features a mix of views including the CBD, Albert Park Lake, the Bay and on to Geelong. 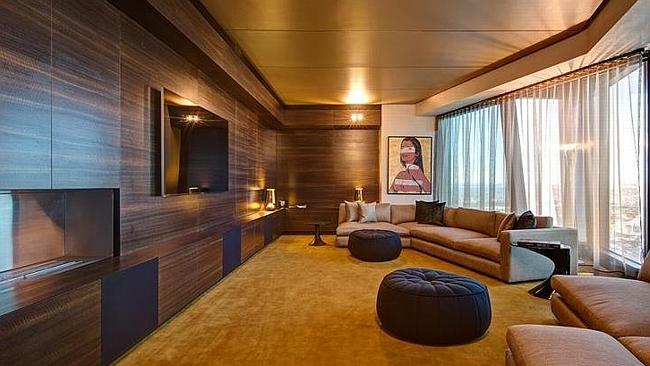 Robert Mitchelson director of Icon Property, Melbourne, is selling the apartment. What can an apartment on level 63 offer that you can’t get on the higher floors? 6304/7 Riverside Quay, Southbank. Windows getting in the way of your view? No problem with this apartment. Looking across to the Arts Centre, Botanic Gardens and Yarra River the balcony on this apartment is among the highest in Melbourne. And with a smart kitchen, two bedrooms and a substantial open-plan living and dining room that looks onto both sunrise and sunset. Sam Hobbs and Michael Paproth at Marshall White, Albert Park, are handling interest in the apartment.